Services were conducted Friday, Dec. 21, for Lynne Harding Reynolds. 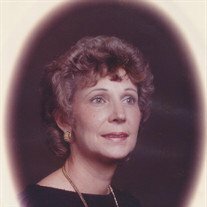 She was born in Huntsville May 12, 1940 to Floyd and Gerry Harding and died Dec.19, 2018. Lynne graduated from Huntsville High school and attended Sam Houston where she studied accounting. After her babies came along, she stayed home with them. There were lots of adventures during this time that her children will always treasure! Lynne loved the Lord and leaves behind a legacy of faith. She made sure her children were always in church and taught by modeling love and compassion for others. Lynne was a member of Northside Baptist church where she loved serving others by weekly visits and notes. Along with her huge heart, Lynne had a big smile. She was thrilled to become a grandmother and thought her grandkids were the best! She was a master gardener and surrounded herself with beautiful flowers. She loved being outside and taking care of her animals – dogs, cats, goats, cows and emus. Even in the last two years, when challenged with Alzheimer’s and heart issues, Lynne’s spirit, love and generosity were apparent. All who were fortunate to call her friend or family, were blessed by her sweet smile and hugs. Lynne is preceded in death by her father Floyd Harding and husband Charlie Reynolds. She is survived by her mother Gerry Harding Davis, her son Mark Costilow, her daughter Donna Wolski and son-in-law Dave Wolski, grandchildren Cooper, London and Arden Wolski, and her brother Jimmy Harding and sister-in-law Judi Harding, nephew Sean Harding and wife Sandee Harding, stepson Billy Reynolds and wife Charolette Reynolds.